Rhabdias stomatica sp. nov. from the lungs of Duttaphrynus stomaticus (Lutken, 1864) from Dehradun, Uttarakhand, India is described and illustrated. Rhabdias stomatica sp. nov. is the 16th species described from the Oriental biogeographical region and the 8th species from India. The new species is differentiated from the closely related Oriental species in having 4 weakly developed lips, a trapezoidal shaped buccal cavity, different position of nerve ring and in the esophagus/body length ratio. 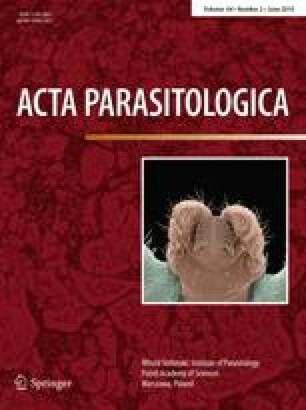 In addition, to the new species found in the lungs, mature specimens of Aplectana macintoshii (Stewart, 1914) Travassos, 1931 and larvae representing two unidentified species of nematode were found in the large intestine of the D. stomaticus.